For any printing, please download the original files from the Google Docs folder (hit the right hand top corner "download original" or hit CTRL+S). For more detailed download options, please go to our download page. NOTE: Do not print directly from Google Docs, follow the instructions below to get a one page, book-fold, pamphlet. Each of the Veritas Papers has been designed to fit on a single sheet of letter-sized paper. However, with the way we have formatted it, you might not totally understand how you're supposed to print it. And that's totally okay, because here's your detailed printing instructions. First of all, we highly suggest you invest in some colour printing… it just looks better! In the future we will look into printing these at a cost-effective price for clubs, but for now, try to find some donors who will help your group get some colourful pamphlets out there. Generally speaking, if you were to print in colour, each copy would cost you $1.20.If you are to print in black and white, each copy will cost $0.25. We tested printing in black and white, and the pamphlets don't look bad at all (though they certainly look better in colour). If you do not have Adobe Reader, you will need to download Adobe Reader in order to print these documents. Each document will require one letter-sized page (8.5x11) and will require double-sided printing in order for the booklet format to be achieved. Use original files only to ensure quality printing. 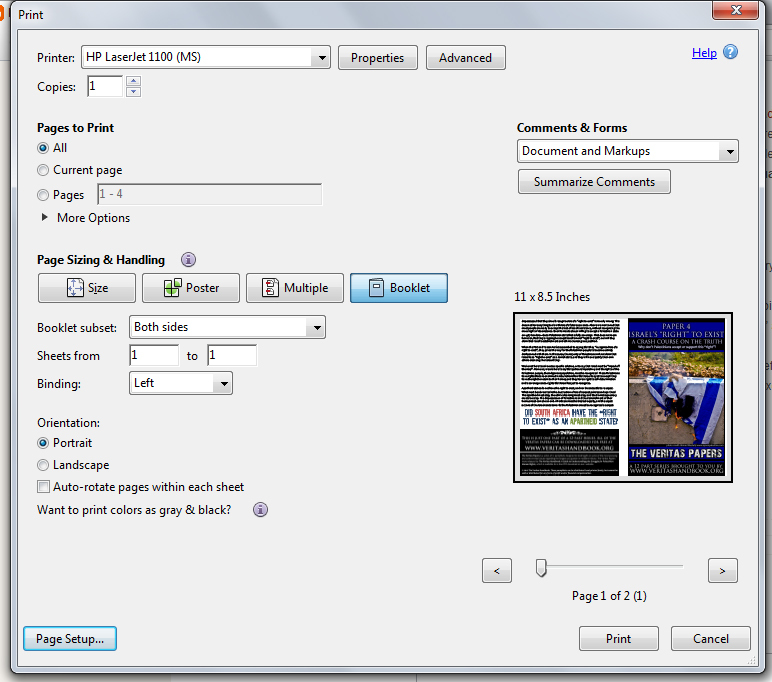 If you are going to print one side first of several copies, then under “Booklet Subset”, select “Front Side” or “Back Side” and follow the steps again for the next side. DO A TEST PRINT FIRST! Don’t waste paper and before you print more than one copy, make sure you have these details fixed.